Lesson 6 - The Chip's Challenge Wiki - The Chip's Challenge Database that anyone can edit! Not to be confused with Lesson 6 (CC2 level). Blue walls may be fake. Some invisible walls never appear. There can be extra chips. 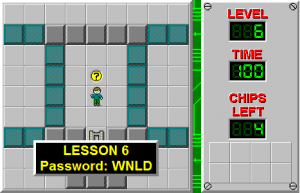 Lesson 6 is the sixth level in Chip's Challenge 1. 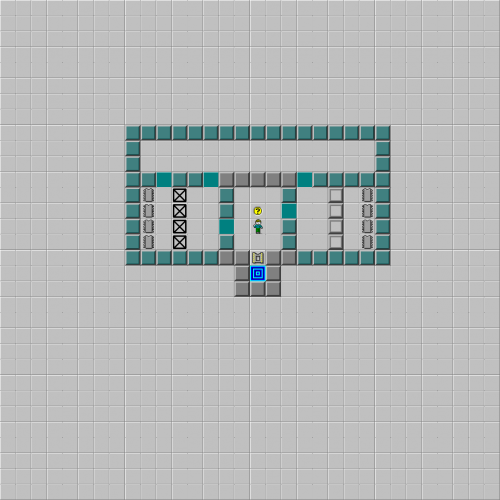 This lesson level introduces invisible walls, hidden walls, and blue walls, plus the possibility of extra computer chips. The four chips on the left can be collected, but the four on the right cannot; however, only four are required. To complete the level, move 3L 4U 3L D, which opens the single fake blue wall and allows Chip to take the four chips below. Come back the same way and exit. This page was last edited on 19 April 2019, at 02:32.